ICYMI: we’ve been celebrating the one-year anniversary of the Gold Line Foothill Extension, which opened last March, with giveaways at stations along the extension. 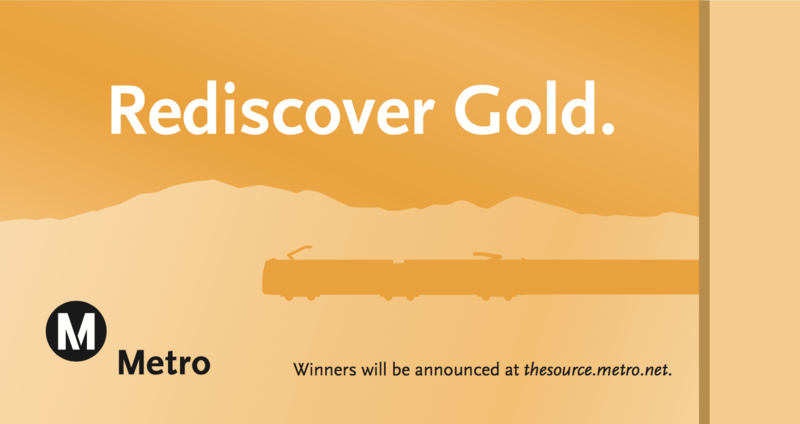 Everyone can pick up a Golden Ticket, but only two get to win a 30-Day Metro pass! If you have the winning ticket, please email MetroEvents@metro.net for instructions on how to collect your prize. Please include “Golden Ticket Winner” in the subject line and your ticket number in the body of the email. Thursday, March 30 from 4:30 p.m. to 6:30 p.m.